The Intel Core i5-7600K processor has been pictured along with several other Kaby Lake based processors. Part of the 7th Generation Core family, the new FinFET Plus based processors feature improved designs that allow faster clock speeds and efficiency. The latest leaks come straight from Chinese sources. 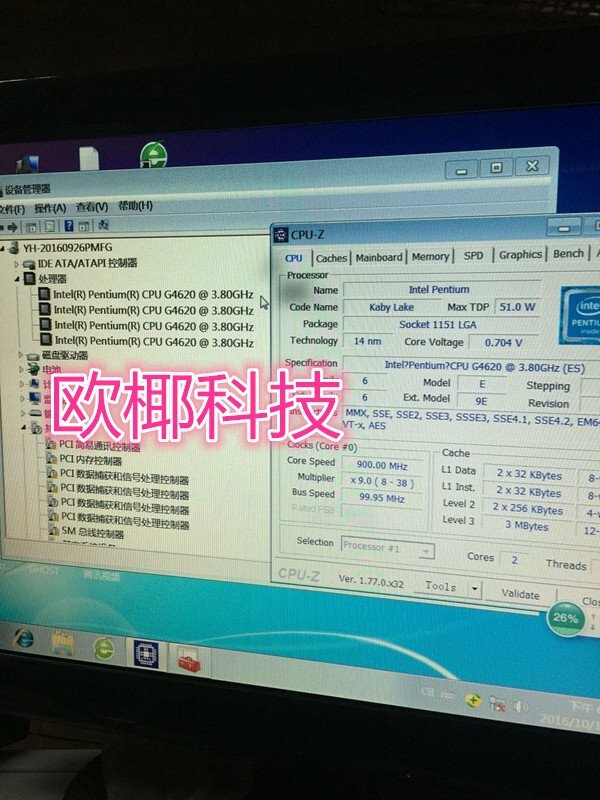 Most of the images contain CPUz shots which confirm the specifications of several Kaby Lake chips. The chips aimed at desktop platform will be supported by 100-series and 200-series motherboards. Firmware updates are already available for 100-series boards by various manufacturers which will allow support for 7000 series processors. So talking about the details, first up, we have two “K” series models. These chips have an unlocked design that indicates that they are built for overclocking. The flagship is the Core i7-7700K features 4 cores, 8 threads and 91W TDP. This chip has a base clock of 4.2 GHz and boost clock of 4.5 GHz while featuring 8 MB of L3 cache. The Core i5-7600K is a quad core chip without multi-threading support that packs 6 MB of L3 cache and a 91W TDP. The chip features a base clock of 3.8 GHz and would turbo beyond 4 GHz. 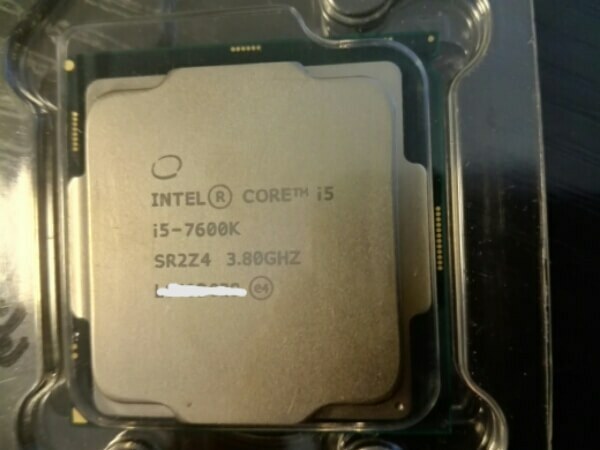 The package shot of the Core i5-7600K shows that the chip is past ES phase and looks to be ready for retail in early 2017. The chip comes with a improved package design with a larger heat spreader on the front. There are five standard models which include the Core i7-7700, Core i5-7600, Core i5-7500 and the Core i5-7400. 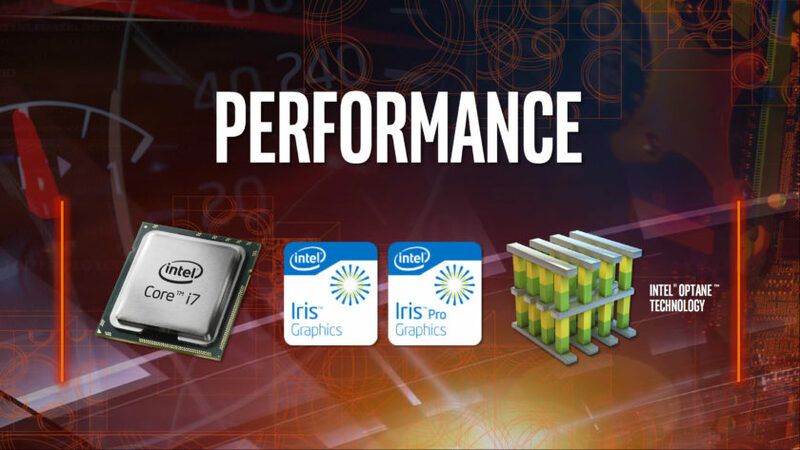 The Core i7-7700 comes with a quad core (multi-threaded) design and a base clock of 3.6 GHz. TDP on this model is set at 65W along with 8 MB of L3 cache. Rest of the three Core i5 models are quad core variants without multi-threading support. Clock speed range from 3.5 GHz on the 7600, 3.4 GHz on the 7500 and 3.0 GHz on the 7400. 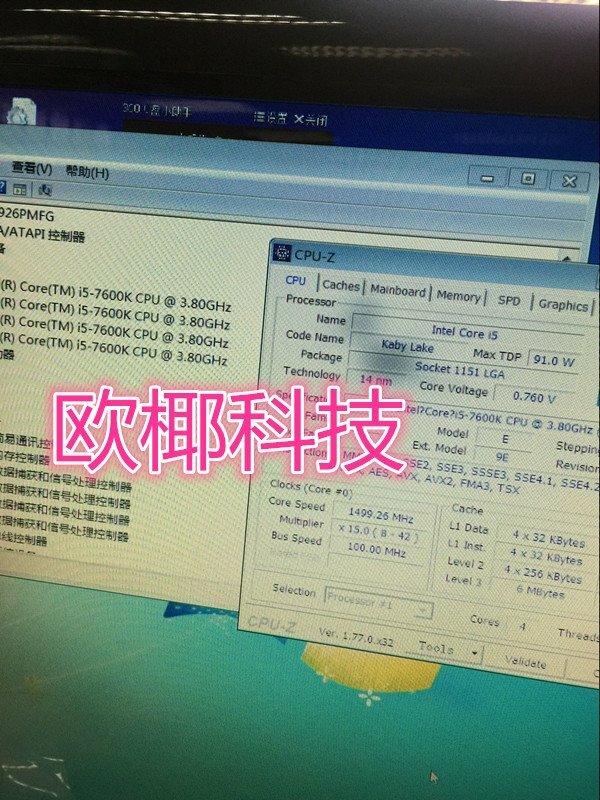 Core i3-7300 at 4.00 GHz, Intel’s Fastest Core i3 Yet? The Core i3-7300 is so far the only chip in this segment we know of. It’s a dual core processor that comes with hyper-threading technology. 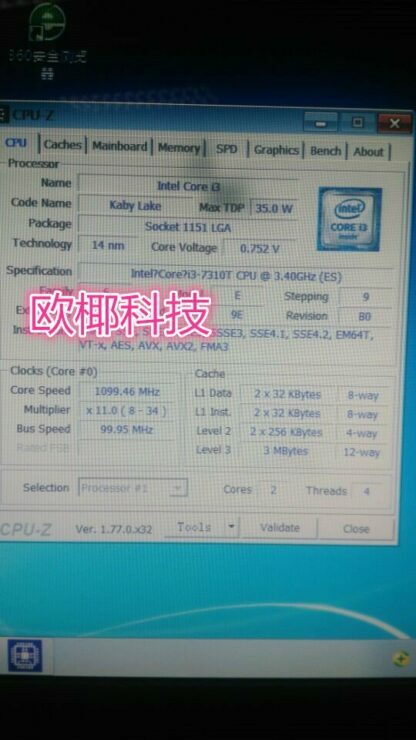 Clock speeds are set at 4.0 GHz but since this is a Core i3 chip, we should not be expecting a boost clock. The chip will feature overclocking to some extent on certain boards. The chip features 4 MB of L3 cache and a TDP of 51W. There are also several “T” variants which means low power. These variants have been designed for low-power desktop PCs. TDP on all of these models is set to 35W and include the Core i7-7700T, a multi-threaded quad core processors running at 2.9 GHz along with 8 MB of L3 cache. The Core i5-7600T comes with a base clock of 2.8 GHz, the Core i5-7500T comes with a base clock of 2.7 GHz and the Core i5-7400T comes with a base clock of 2.4 GHz. All Core i5 models have 6 MB of L3 cache embedded inside them. The Core i3-7310T is a little chip that comes with a dual core, hyper-threaded design. The chip features a base clock of 3.40 GHz and has 3 MB of L3 cache. The chip is rated at 35W in terms of TDP. We should expect the Core i3 models to be priced at really good value for budget builders. Lastly, we have a Pentium model running in action. The engineering sample for the Pentium G4620 runs at 3.80 GHz. 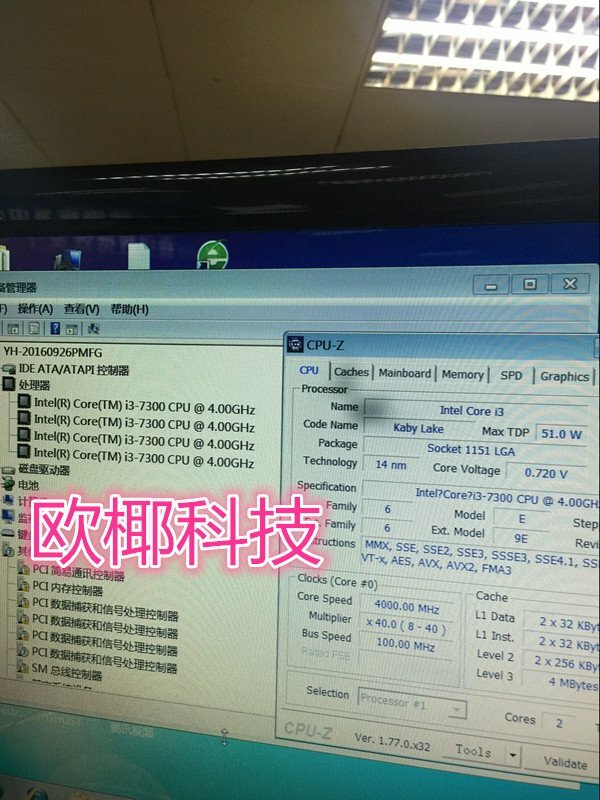 There’s no boost clock but the chip has low-clock states as seen in the picture which push the core down to 900 MHz in idle mode. The chip features 3 MB of L3 cache while the package comes in a 51W TDP. The most surprising thing about this chip is that Intel has gone with a hyper-threaded (dual core) design on their Pentium series which should mean a tad bit performance boost over previous gen Pentiums. Intel Kaby Lake processors in general would be getting increased core performance (expect the usual 5-10% improvement) unless Intel plans to do something very different with Kaby Lake which seems highly unlikely. The processors will retain the basic features such for enthusiasts such as enhanced full range BCLK overclocking and 95W “Unlocked” options to choose from. The Intel 200-Series PCH is a crucial update for the upcoming family of processors as it will allow support for them. 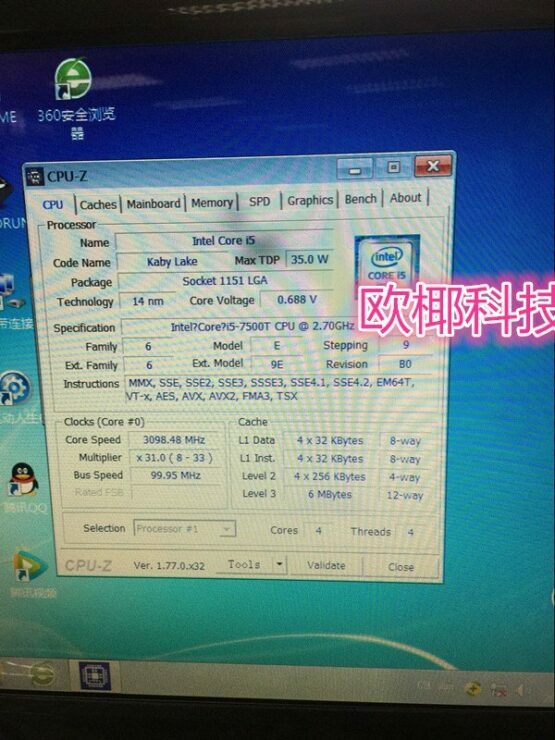 The Intel 200-series PCH will include several SKUs such as Z270, H270, Q270, Q250 and B250. While the new chipset doesn’t include any major changes over the Skylake PCH, it does include support for Intel Optane technology. The new tech utilizes Intel’s 3D XPoint memory to deliver high-performance SSDs and memory solutions.